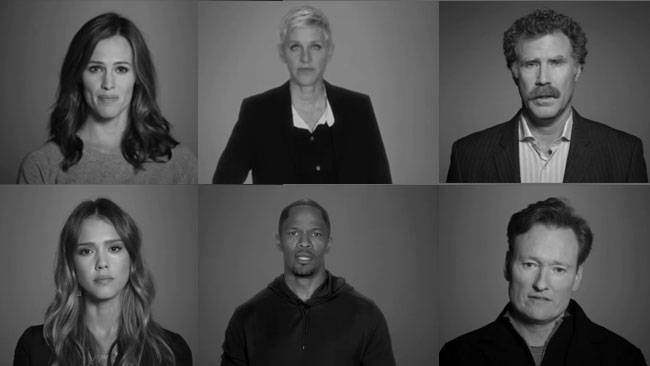 The entertainers seen in the one-minute, 22 seconds long public service announcement (PSA) are Jessica Alba, Jamie Foxx, Jason Bateman, Julia Louis-Dreyfus, Jennifer Garner, Carey Mulligan, Beyoncé, Jeremy Renner, Amy Poehler, Rashida Jones, Aziz Ansari, John Legend, Nick Offerman, John Slattery, Selana Gomez, Jennifer Aniston, Jon Hamm, Chris Rock, Conan O’Brien and more. This is not the first time celebrities have teamed up to demand change. In 2002, musicians did a rendition to Marvin Gaye’s “What’s Going On” in an effort to raise funding for AIDS programs and broadened to benefit the survivors of Sept. 11. 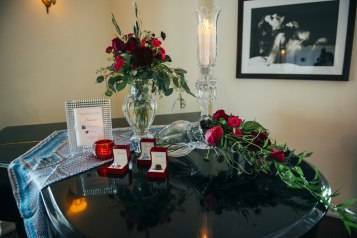 Most recently, following the Sandy Hook shooting, celebrities took out a full-page ad in the Dec. 19’s New York Times, which displayed signatures from more than 100 public figures, including Arianna Huffington, Lady Gaga, Martha Stewart, MC Hammer, Goldie Hawn, and Ken Burns demanding change. Watch the “Demand A Plan” video below.